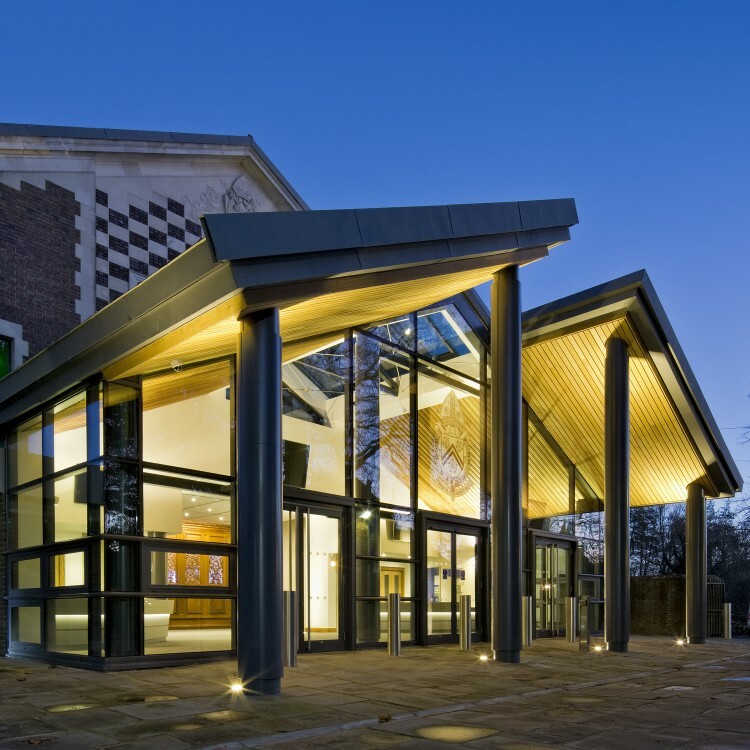 A £4 million project to refurbish and extend Winchester College’s New Hall building is using bespoke aluminium ‘Forma’ column casings, which were supplied and installed by Encasement to conceal structural columns while helping create a dramatic new entrance and foyer. 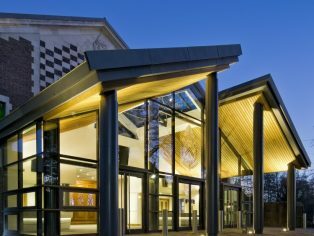 New Hall was originally constructed in 1961 as a venue for concerts, lectures and examinations for the school, which was founded in 1382 by the Bishop of Winchester, William of Wykeham, who was also the founder of New College Oxford. Every Forma aluminium column casing was manufactured to the architect’s precise specifications by Encasement, which included header and skirting collars on all columns as well as special asymmetric header collars on the external casings, which were cut on site by Encasement to ensure they fitted perfectly with the sloping canopy.